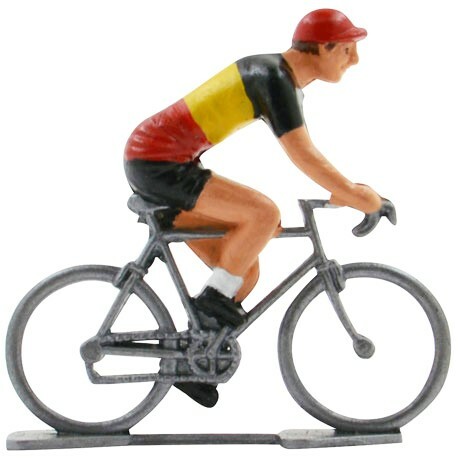 Handpainted miniature cyclist with Belgian champion jersey. 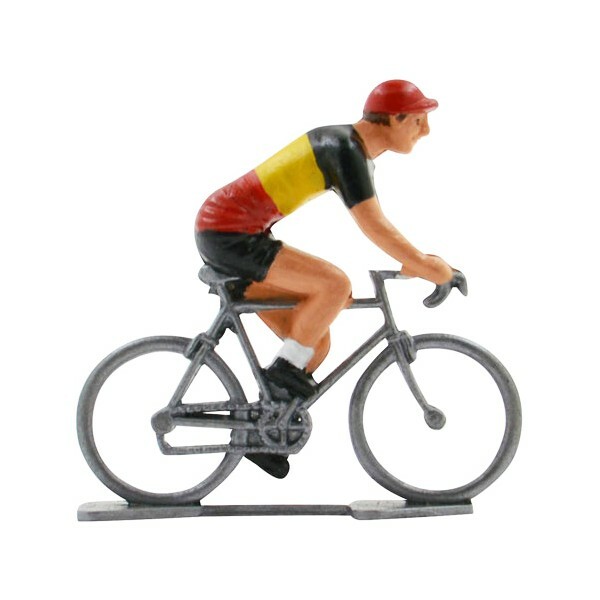 The Belgian national Championship is a cycling race where the Belgian cyclists decide who will become the champion for the year to come. The winner is the Belgian champion and is awarded with a symbolic cycling jersey which has the colors of the national flag.